Asset-based egalitarianism is a form of egalitarianism which theorises that equality is possible by a redistribution of resources, usually in the form of a capital grant provided at the age of majority. Names for the implementation of this theory in policy include universal basic capital and stakeholding, and are generally synonymous within the equal opportunity egalitarian framework. 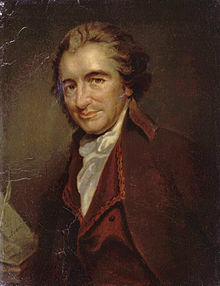 The idea has been around since Thomas Paine (January 29, 1737 – June 8, 1809) in his work Agrarian Justice 1795, and complemented his other thesis of basic income. Two independent schools of thought were developed on the subject, involving individuals from the American Labour Movement and scholars of the Belgian School. However, the same reasoning (given by both schools) behind the basic capital proposal is the redistribution of wealth usually funded by an inheritance tax in order to provide a universal and unconditional sum of money (or capital assets) at the age of majority. From most authors, the intention was to create a nominal grant for everyone based on a deserved natural inheritance of the earth. In the policy format, asset-based egalitarianism is usually seen as the opposite policy proposal of Philippe Van Parijs and his thesis of basic income, but asset-based egalitarian proposals have received less academic attention. However, more recently the wave of third way politics has seen much more emphasis placed on responsibility and equality of opportunity and has reopened an old debate. Some famous recent work on the policy efficaciousness of universal basic capital or asset-based egalitarianism has been conducted by Bruce Ackerman and Anne Alstott in The Stakeholder Society. In this policy proposal, the method of funding the 'stake' was by means of a wealth tax and provides a sum of $80,000 for those reaching the age of majority. In actual policy, Gordon Brown and the British Labour Party initiated the United Kingdom Child Trust Fund, while in the United States the idea has been implemented in the form of Individual Development Accounts and argued for by Michael Sherraden. These remain the nearest practical examples. The account can give your child a head start as a young adult. It will help your child understand personal finance and the importance of saving for their future. The account belongs to them and when they turn 18, the money is theirs to use as they think best. Asset-based egalitarian policies, such as the Ackerman and Alstott proposals, are often criticised as not being egalitarian. Due to different people having different abilities and talents to utilise financial wealth, there is always a risk that those without formal financial education would alienate their own freedom by dissipating their capital or "stakeblowing". Stuart White argued that unless education corrected for this, there would be an inegalitarian outcome, as people fundamentally have different asset-management capacities. See Time preference and Deferred gratification. However, such criticism misses the fundamentals of the issue. As Tomas Paine argued, we have an equal share in the free gifts of nature. And these gifts have enormous economic value. This value is due equally to each individual alive. What happens on top, so to speak, of this foundation is not constrained by the equality argument. If one becomes a millionaire during life and another remains an unsuccessful aspiring artist, they share the same equality of a generous life-support. ^ Van Parijs, P (1995) Real Freedom for All: what if anything can justify capitalism? This page was last edited on 8 March 2019, at 16:15 (UTC).